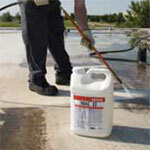 As TPO and other membranes become weathered, roof tops can crack, leak, and pick up dirt, diminishing their effectiveness and energy saving properties. Conklin's elastomeric coatings provide a new, cost effective solution for repairing and preserving approved membranes, resulting in improved energy savings. 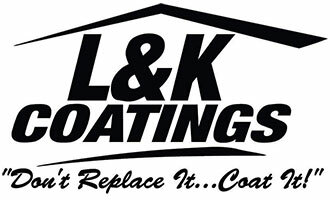 L & K Coatings LLC uses the Conklin Membrane Coating System to revive your failing EPDM, PVC, or other SINGLE PLY Roof. 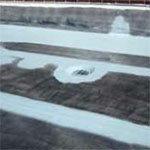 Traditional membranes are often black in color absorbing the sun's heat and causing substantial expansion and contraction, which puts extreme stress on the seams - causing them to fail which always results in leaks. Step 2: Prime surface with Tack Coat primer. 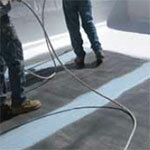 Step 3: Reinforce Seams with Spunflex imbedded in Rapid Roof III or Equinox base coat. 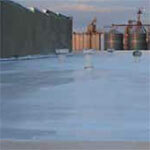 Step 4: Seal entire roof with Rapid Roof II or Equinox top coat. Increases energy efficiencey and lowers utility expense with its cool, white, reflective surface. We offer a 10 YEAR LEAK FREE RENEWABLE WARRANTY with this system to give you the peace of mind you deserve.